Photo taken from downhill lane of Ober Strasse to show first sign as travelers are ascending Ober Strasse. High Avalanche Hazard sign. 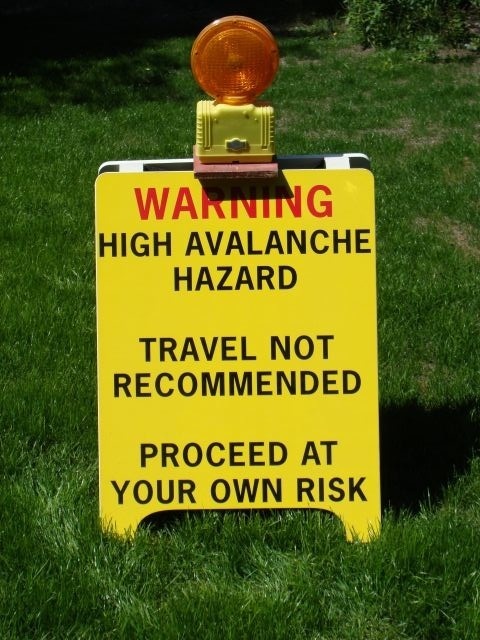 This sign is placed on the roadway and maintained (and subsequently removed) by the ACC Board whenever Barker Consulting issues a high hazard warning due to conditions which make an avalanche likely to occur.